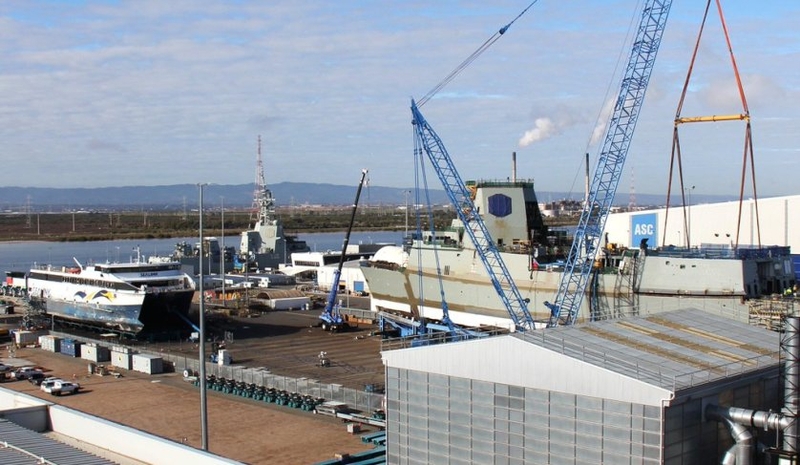 Delivering complex warship and submarine platforms is among the most complex industrial activities ever undertaken in Australia. ASC maintains multiple interdependencies across its programmes - timelines, political stakeholders, intellectual property and related responsibilities, as well as maintaining an extensive supply chain within Australia and overseas. At the core of this engagement has been Risk Decisions’ Predict! platform. The tool is simple to use and drives engagement, collaboration and uptake. The ease of use has meant that Coll's team is less focused on helping people use the tool, but instead concentrates on helping them look for opportunities and to act within the risk framework we have created. Providing education upwards has been vital too. As Coll explains, "We put a great deal of thought into how we coach our executive and management teams to lead their respective risk practices within the company and all of our programs, especially around effective communication. This ensures that risk is integrated across our business, from project to board and board to project – we need to allow it to flow, via transparent disclosure of risk." Including risk effectiveness when communicating with the board and executives demonstrates the value it delivers at every level of the organisation. Risk needs to be more than an agenda item, rather a conversation and awareness across agendas. Aligning the risk strategy to board priorities and then engaging in proactive risk management to help to achieve these priorities has raised the visibility of risk at all levels. This goes beyond using risk as a response to legal and regulatory compliance but represents a new benchmark. While it doesn’t safeguard ASC against risks, it creates better informed decision making. Coll has created a ‘risk team’, working with the CEO, board and executive, with dedicated meetings, ensuring that risk has a profile and influence at the senior levels. At the same time the team approach encourages the executive board to improve their understanding and management around the issues within their programs and areas of accountability. For ASC, risk management is no longer seen as a standalone activity, instead it has become a common thread across the organisation, encompassing all types of risk, including business continuity, disaster recovery, cyber security and fraud identification and prevention to name a few. Fiona Racher is the global business development director with Risk Decisions.